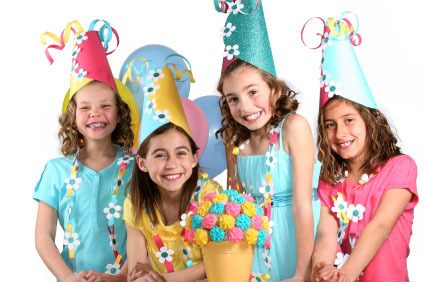 Below is a list of Girls Birthday Party Ideas. See my other page All Kids Parties A-Z for a list of party ideas arranged by theme or age group . A lot of party themes really are unisex these days. But it's a fact of life that some themes are going to be more attractive to girls and others preferred by boys. I realize it's hard not to think about kids party themes in terms of genders and traditional sterotypes, but I would suggest you try not to. It's old-fashioned and your party will be better for a more modern approach. However the chances are that there probably aren't that many girls who are going to be interested in a Roman Gladiator party theme for example. So below is a list of party themes that might be particularly suited to girls. That doesn't mean some of these themes aren't just a suitable for boys too. Likewise some themes listed on the Boys Birthday Party Ideas page might be just as suitable for girls. So I would suggest that you also check out the All Kids Parties A-Z page which contains themes for both sexes. 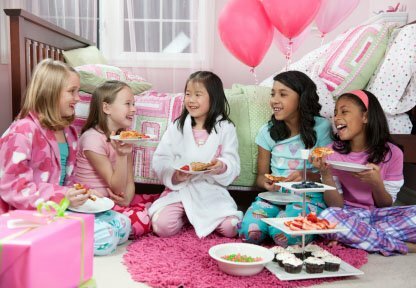 If you have some good girls birthday party ideas (or you've tried one of my ideas from the list above) share details with other party-ideas-by-a-pro.com visitors. Use the form below to submit your girls birthday party ideas.